The odds were stacked against them. But these entrepreneurs--who started with next to nothing--credit their hard work and tenacity for helping them make millions. Josh Bezoni started his company $150,000 in debt. Lucinda Yates spent countless nights sleeping on the streets before her business was conceived. Yet, today they're owners of multi-million-dollar businesses. So what's their secret? The rags-to-riches entrepreneurs I spoke with say there's no set formula for success. It can only be attained through passion, risk-taking and stubborn perseverance--no business plan necessary. This group of entrepreneurs, including Bezoni, a weight-loss coach and Yates, a designer of handcrafted pins, all started with $1,000 or less, but have taken their businesses past the $1 million mark. As a follow-up to "On the Rise" in the July issue of Entrepreneur magazine, we've found five more companies that made the tremendous jump from next to nothing to more than a million. If you're looking to launch your own business and don't have much to start with, learn from their triumphs and struggles and you could soon be on your way to achieving entrepreneurial success. The turnaround story: For Bezoni, the beginning of his business came at a time when he had nothing to lose. Having grown tired of working the 9-to-5 grind, he left the security of his job and started his own business. 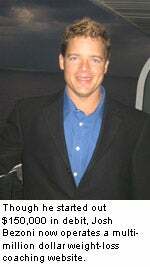 But Bezoni found himself in massive credit card debt and stuck in a startup that he wasn't passionate about. Figuring things couldn't get much worse, Bezoni used his degree in biology and nutrition to launch a weight-loss coaching website, SlimBodyCoach.com. Within the first three months of business, he brought in $3 million in sales, thanks in part to a weight-loss challenge. "Think about something you're passionate about and that creates tremendous value for other people," he says. "If you can help people solve a problem they have, you can be successful in business." The turnaround story: Though Yates wasn't in as much debt as Bezoni, she had financial issues of a different sort. Today, she's the founder and owner of Portland, Maine-based Designs by Lucinda, but before that, she was homeless for a about a year and a half following her divorce. During that time, Yates learned the craft of making jewelry from other homeless people. With the help of family and friends and plenty of hard work, Yates took her love for creating fashion jewelry to the next level by starting her own business. "I didn't have a plan. I acted just like I did when I was homeless, dealing with each issue as it came," she says. "Running a business isn't that much different than running your life." 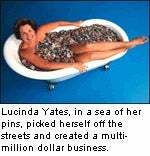 In 2005, Designs by Lucinda sold its 4 millionth pin, helping raise about $22 million for non-profits. The turnaround story: For Montie, founder of Wildtree, her mission was to help her children live better lives. 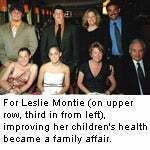 Wildtree was born in 1996 after Montie discovered both her children had medical conditions requiring special dietary restrictions. Though still working full-time to support her children, Montie used her chemistry background and paired up with her mother and father, both phenomenal cooks, to experiment with new ways to flavor and prepare foods. She began selling the all-natural concoctions out of brown paper bags at craft fairs across New England. Montie and her parents were overwhelmed by the response, prompting Montie to leave her job to develop the company and throw home parties. "The long nights working are so worth it," she says. "They're much better than the long nights I spent staying up with my children." In 2004, Wildtree partnered with The Southwestern Company and today brings in sales of $4 million. The turnaround story: In the early days of LiveAuctioneers, co-founders Ellison and Ralston relied on a telephone and a computer to run their business out of their respective New York City apartments. 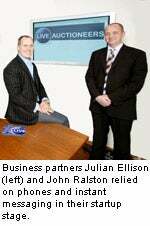 Before launching the site in 2002, Ellison was working with another company to bring every auction catalogue into one location on the internet, but the venture fell through when the company burned through its capital, leaving Ellison jobless. Left with a little more than $1,000, Ellison decided to give it a second shot with the help of Ralston, who uploaded the catalogues while Ellison sold the idea to auction houses. After just one month of operation, the site was profitable and opened up the world of auctioneering to millions worldwide. Last year, annual revenue reached $60 million. Even at his lowest point, Ellison says he never gave up. "I'm an entrepreneur; I always have been. That's how I knew I could do this." The turnaround story: Both Feder and Gilbert, co-founders of San Diego-based Five Point Capital, know that starting a business requires extreme discipline. So much discipline, in fact, that at one point in the early days of their business, they set a daily budget of $3 per person for lunch. "We never wasted money; we made sure we made good business decisions," says Feder. 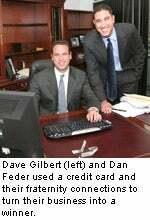 Gilbert, who had basic leasing experience, joined Feder, with no experience in the industry, to create a company that helps small and medium-sized businesses lease new equipment. The former USC fraternity brothers used credit cards and every connection they could find to move their business forward. They even had fraternity brothers send them phone books from various cities they traveled to so they could make cold calls. The hard work has definitely paid off. In 2006, the company boasted sales of $100 million.